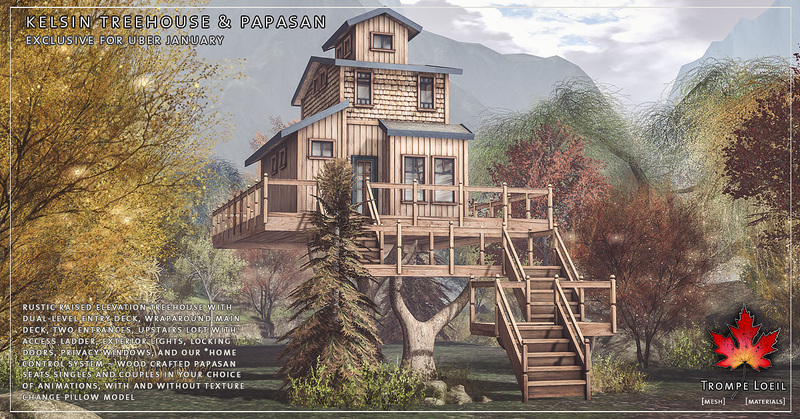 Enjoy four seasons of comfort above the hustle and bustle – the views from your personal treehouse are always a delight, in our new Kelsin Treehouse and matching Papasans, only for Uber January! 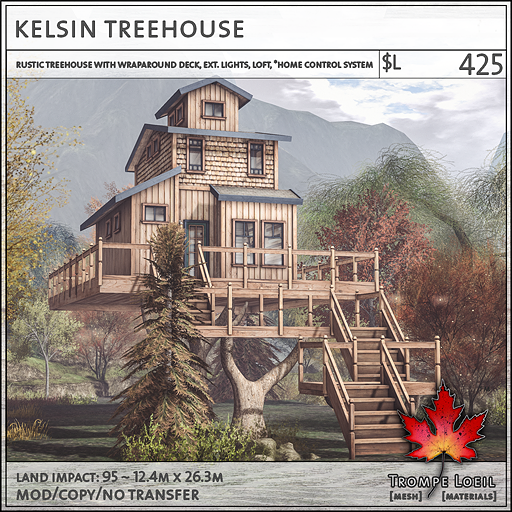 The Kelsin Treehouse is an elevated structure atop several tree trunk supports, with multi-level entry stairs, wraparound deck, two entrances including double doors, loft with access ladder, exterior lights, privacy windows, and our *home control system. 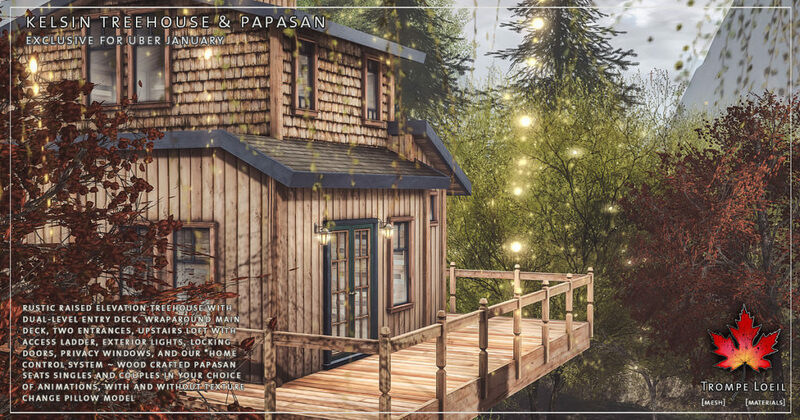 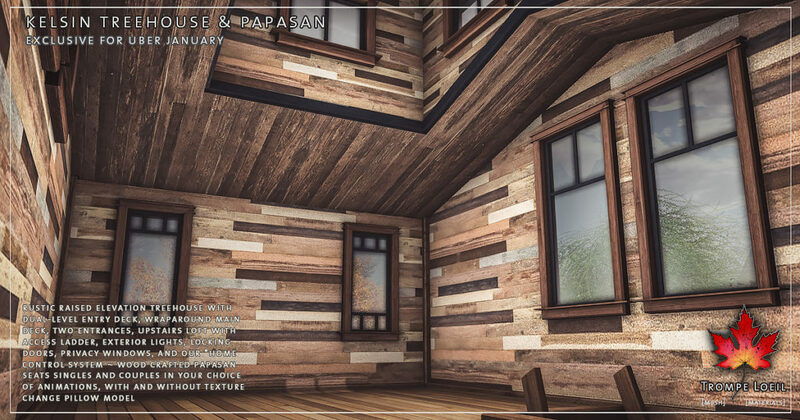 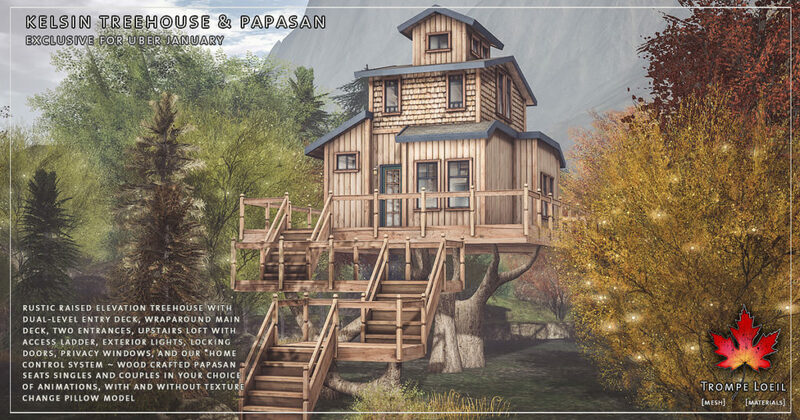 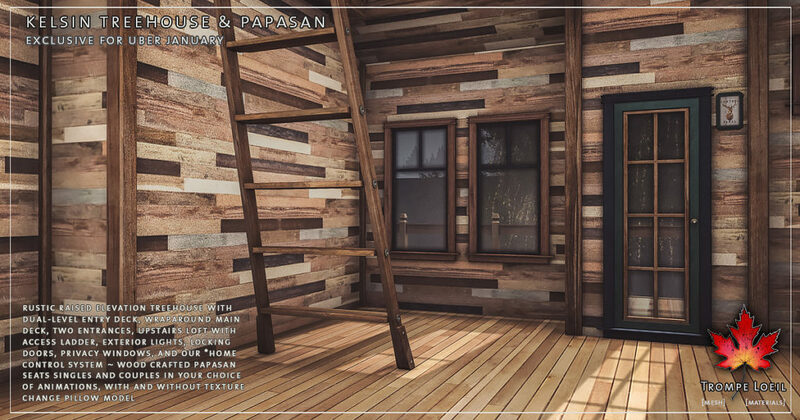 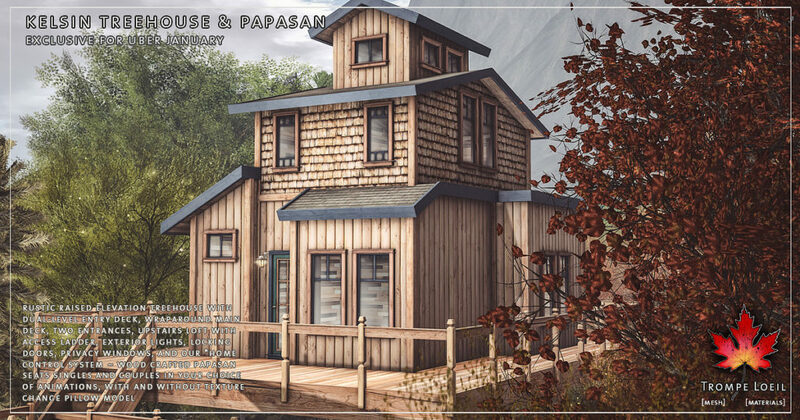 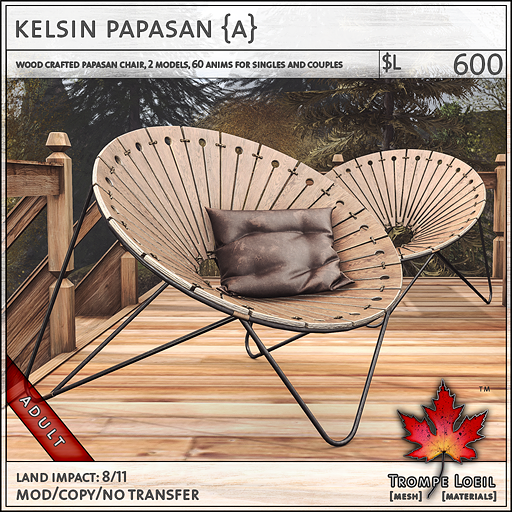 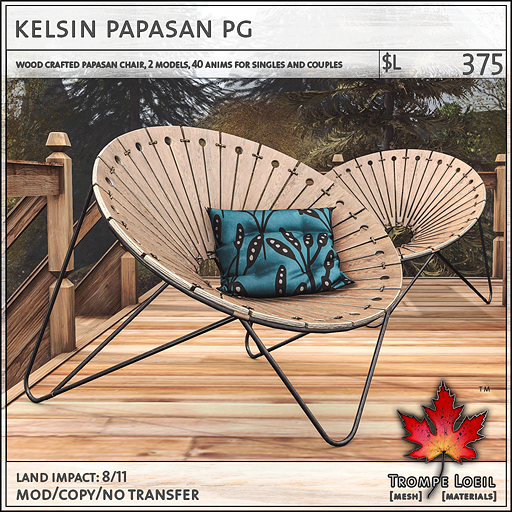 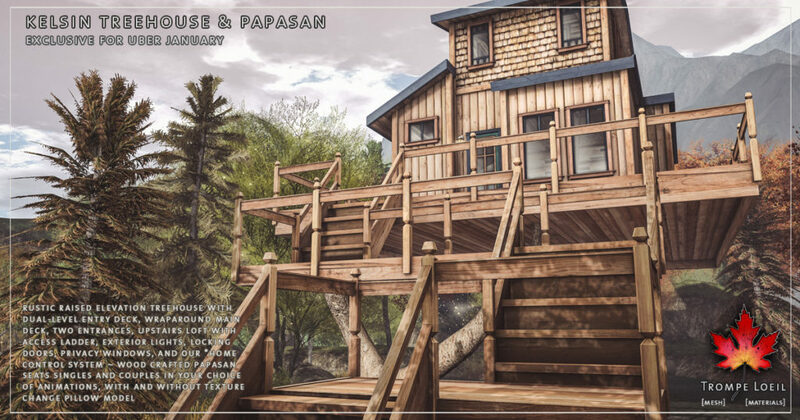 The matching Kelsin Papasans are carved wood conversation pieces, with intricate woodworking, leather ties, optional pillow model with texture change menu, and tons of animations for singles and couples in your choice of maturities. 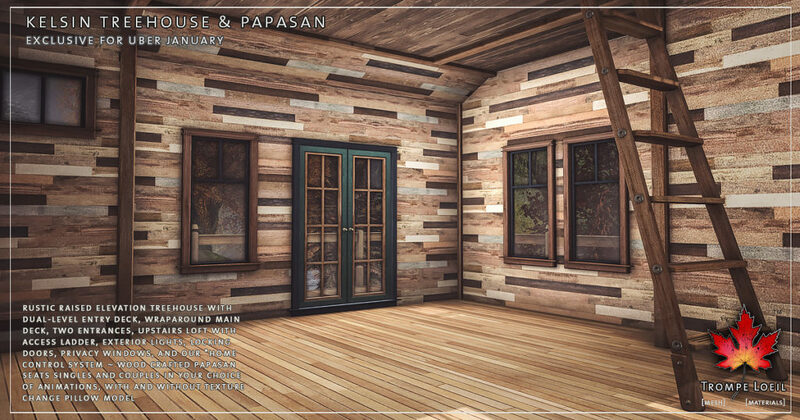 Don’t forget the optional Snow Add-On for those winter forest moments! 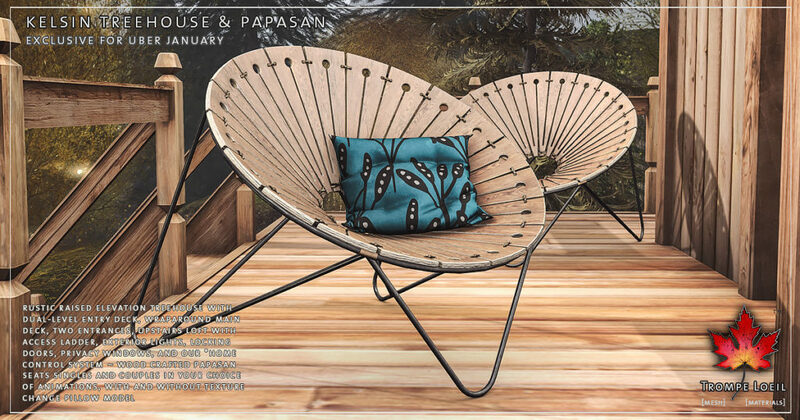 Only at Uber January!